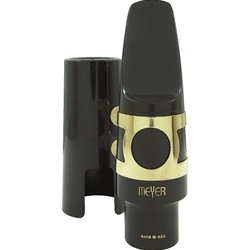 Your search for the ultimate mouthpiece ends with Meyer --one of the finest lines of mouthpieces available. For exquisite playing response and smoothness of tone, these mouthpieces stand alone. Meyer...because there is no substitute for quality.